This holiday recipe is an easy-bake Christmas tradition sweetened up for friends and family. Forget the figgy pudding. 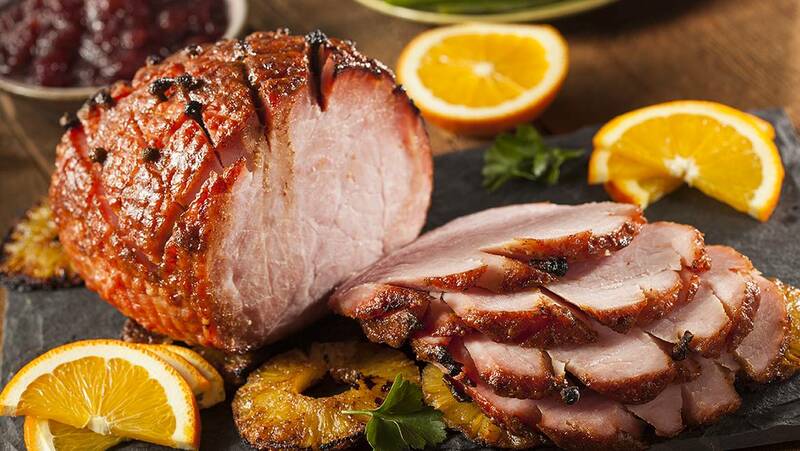 “Honey Glazed Ham” is my family’s number one holiday taste sensation. Easy to prep, easy to cook, easy to please. The magical marriage of rich sweet caramelized honey and succulent roasted is the perfect centerpiece for anyone’s Christmas dinner. In the top half of a double boiler, heat the corn syrup, honey, and butter. 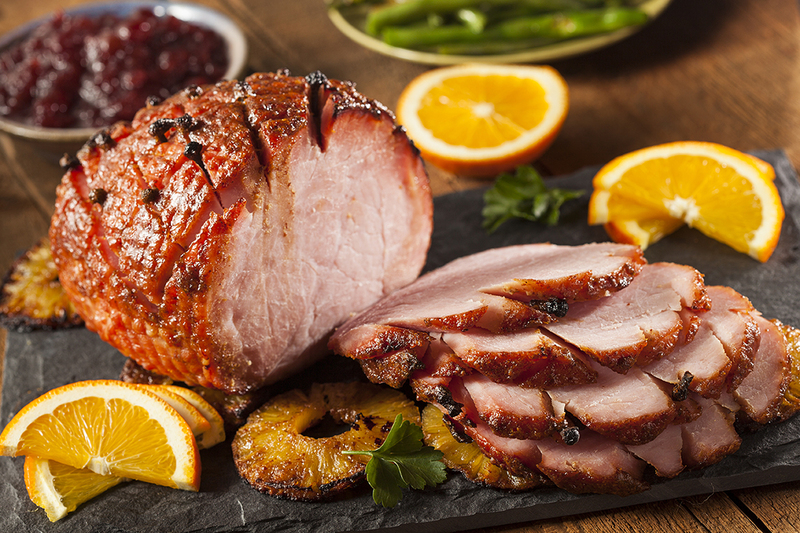 Keep glaze warm while baking a ham. Substitute ¼ Cup of Golding Farms Molasses instead of Dark Corn Syrup. Prep Time: 20 min. Cook Time: 1 hour, 15 min. – Ready in 1 hour 35 min. 100% raw honey is a kitchen staple that is highly versatile and lasts and lasts. How long does real honey last before it spoils? Honey found in the tombs of the Egyptian pharaohs was still edible when discovered centuries later. So, it’s always ready to use whenever you want to sweeten up a new recipe or an old family favorite.